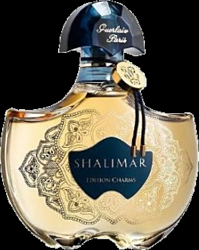 "The desire to experience sensuality, feminity, mystery...to succumb to SHALIMAR ÉDITION CHARMS, whose bottle decorated with Oriental motifs, evokes the splendours of India. Slender arabesques unfurl their delicate volutes over the bottle and box. They are inspired by the motifs on the rings worn by Indian women on every occasion, along with the embroidery admired on the shimmering colours of ceremonial saris. A blue silk thread is wound around the neck of the bottle, holding the famous golden "signet" engraved with the double G."
Obviously the new limited editions pay homage to the origins of the history of Shalimar and its story about being inspired by the famous eponymous gardens. Pretty stuff, no doubt! The juice is exactly the same as the regular editions of each perfume. I like shalimar but it's not for me. 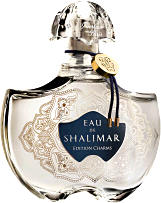 As you know, my dear E, I adore Shalimar and these new pretties are lovely, but they will be the new formulation (sigh) so I will not be indulging! I saw the bottles at the flagship store and they were gorgeous. And I consider myself above such frippery. ;-) But still! I simply adore your image!! 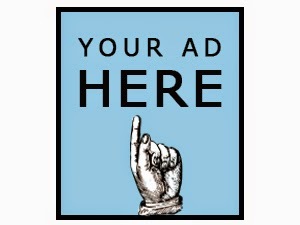 I have the dark hair and white skin, although I'm not thin. Does that ruin the presentation completely? I rather think that the Rose-Pathouli stuff might be nice. Not earth-shattering, but nice. 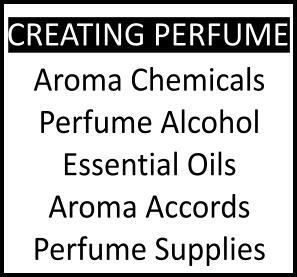 It's a classic combo of perfumery. Have you tried Voleur de Roses by L'artisan? Dearest Helg weight is not issue. 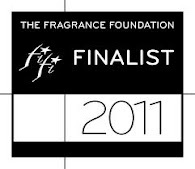 No haven't tried the fragance you said.Hope that someday will come across.